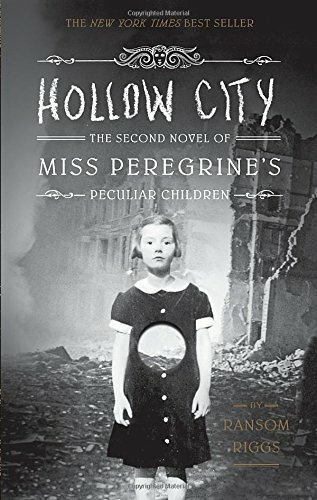 Miss Peregrine's Home for Peculiar Children was the surprise best seller of 2011â€”an unprecedented mix of YA fantasy and vintage photography that enthralled readers and critics alike. Publishers Weekly called it "an enjoyable, eccentric read, distinguished by well-developed characters, a believable Welsh setting, and some very creepy monsters." Despite the tumor-shrinking medical miracle that has bought her a few years, Hazel has never been anything but terminal, her final chapter inscribed upon diagnosis. But when a gorgeous plot twist named Augustus Waters suddenly appears at Cancer Kid Support Group, Hazelâ€™s story is about to be completely rewritten. 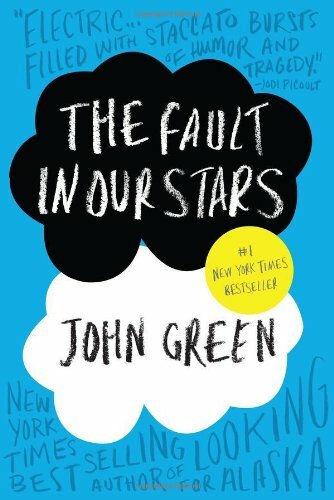 Insightful, bold, irreverent, and raw, The Fault in Our Stars is award-winning-author John Greenâ€™s most ambitious and heartbreaking work yet, brilliantly exploring the funny, thrilling, and tragic business of being alive and in love. 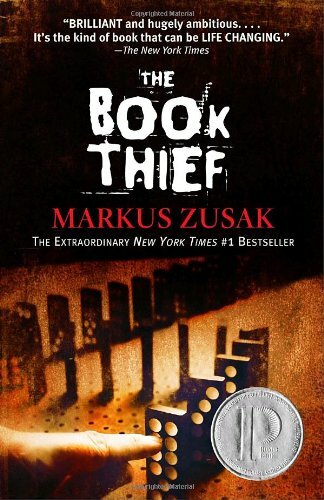 Liesel Meminger is a foster girl living outside of Munich, who scratches out a meager existence for herself by stealing when she encounters something she canâ€™t resistâ€“books. With the help of her accordion-playing foster father, she learns to read and shares her stolen books with her neighbors during bombing raids as well as with the Jewish man hidden in her basement. In Beatrice Priorâ€™s dystopian Chicago world, society is divided into five factions, each dedicated to the cultivation of a particular virtueâ€”Candor (the honest), Abnegation (the selfless), Dauntless (the brave), Amity (the peaceful), and Erudite (the intelligent). On an appointed day of every year, all sixteen-year-olds must select the faction to which they will devote the rest of their lives. For Beatrice, the decision is between staying with her family and being who she really isâ€”she canâ€™t have both. So she makes a choice that surprises everyone, including herself. During the highly competitive initiation that follows, Beatrice renames herself Tris and struggles alongside her fellow initiates to live out the choice they have made. Together they must undergo extreme physical tests of endurance and intense psychological simulations, some with devastating consequences. As initiation transforms them all, Tris must determine who her friends really areâ€”and where, exactly, a romance with a sometimes fascinating, sometimes exasperating boy fits into the life she's chosen. But Tris also has a secret, one she's kept hidden from everyone because she's been warned it can mean death. And as she discovers unrest and growing conflict that threaten to unravel her seemingly perfect society, she also learns that her secret might help her save those she loves . . . or it might destroy her. 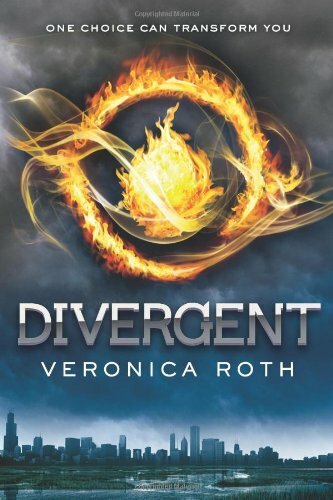 Debut author Veronica Roth bursts onto the YA scene with the first book in the Divergent seriesâ€”dystopian thrillers filled with electrifying decisions, heartbreaking betrayals, stunning consequences, and unexpected romance. Guinness World Records 2014 brings together thousands of the planet's most awe-inspiring people, pets and products, including new record-holders such as a skateboarding goat, a 15-meter-long robot dragon, the world's furriest cat and a king-size drumkit that needs five people to play it! 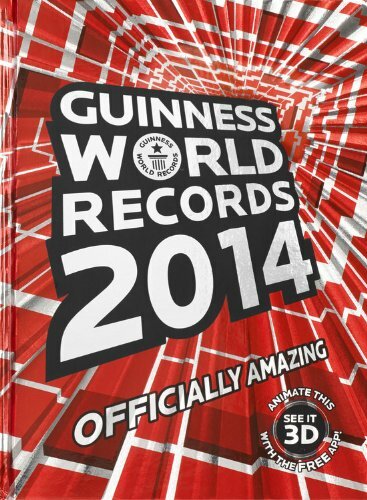 Packed to bursting with new and updated achievements, Guinness World Records 2014 features an all-new design and more images than we've ever had before - including over 100 all-new original photographs you won't find anywhere else. New topics this year include Superheroes, Venom, and Social Networking, and feature chapters on the Circus and Dynamic Earth round off our most exciting and explosive edition yet. And finally, jumping off the page this year are even more Officially Amazing Augmented Reality features. Just download the free app to your phone or tablet device and look for the "See-It-3D" icons scattered throughout the book.